Compliance and complacency don't go well together, so we created an e-book to help you keep your screening practices compliant. Ensures that state agencies charged with ensuring payment of child support obligations and protecting the credit history of children under state care may continue fulfill their statutory responsibilities. Ohio, like most states, has a law (O.R.C. 3796 et. seq.) permitting the use of medical marijuana. Ohio’s medical marijuana program was set to be fully operational as of September 8, 2018; however, the program was plagued by a number of setbacks and is only now getting started. This is likely good news for employers, who should take this extra time to ensure they understand how the law stands to impact their workplace and employment practices. Courts have dealt with the issue of whether medical marijuana use is protected by the Americans with Disabilities Act (ADA). In James v. City of Costa Mesa (2012), the Ninth Circuit found that although the medical marijuana users were gravely ill, the ADA provided no protections. The court concluded that the ADA does not apply to drugs, such as marijuana, that are banned under the Controlled Substance Act. Prohibits an employer from establishing and enforcing a drug testing policy, drug-free workplace policy, or zero-tolerance drug policy. Because of these explicit carve-outs, Ohio employers likely will not be adversely impacted by the medical marijuana law. Employers can continue to enforce their drug testing policies and discipline employees who use, distribute, or possess medical marijuana. Likewise, employers do not have to accommodate an employee’s use of medical marijuana. While Ohio’s medical marijuana law contains employer-friendly provisions, other states are much more protective of employee use of medical marijuana, making it critical for employers to be aware of the specific laws in their state. Connecticut, for example, prohibits employers from refusing to hire a person or discharging, penalizing, or threatening an employee solely on the basis of such person’s status as a qualified medical marijuana user. This anti-discrimination language gives increased protections to employees who use medical marijuana. In a recent Connecticut decision, Noffsinger v. SSC Niantic Operating Company, LLC (2018), a prospective employee was recommended medical marijuana by a physician to minimize the complications associated with post-traumatic stress disorder. Despite being aware of the prospective employee’s use of medical marijuana, the employer rescinded its job offer when the prospective employee tested positive for marijuana. The prospective employee filed suit alleging discrimination in violation of Connecticut’s medical marijuana law. The employer argued that it did not discriminate because of an exception to Connecticut’s law which permits discrimination “required by federal law or required to obtain federal funding.” However, the court held that no federal law required a zero-tolerance drug testing policy, and the employer discriminated by rescinding the job offer after the failed drug test. A Massachusetts court also provided employees who use medical marijuana extensive protections. In Barbuto v. Advantage Sales and Marketing (2017), Cristina Barbuto accepted a job offer contingent upon her passing a drug test. Barbuto suffered from Crohn’s disease and was recommended medical marijuana to combat the side effects. Barbuto explained to her new employer that she would test positive for marijuana, but the supervisor said this should not be a problem. As expected, Barbuto failed the drug test and was terminated after her first day on the job. The employer argued that it was following federal law prohibiting the use of marijuana. The court rejected this argument and instead focused on Barbuto’s disability. Since Crohn’s disease is a disability under Massachusetts disability law, the employer had a duty to engage in the interactive process with Barbuto to determine if there was a reasonable accommodation to help her perform the job. Ohio’s medical marijuana law contains carve-outs so that employers can continue to enforce their drug testing policies. Still, it is important to keep in mind that other states have medical marijuana laws or disability laws that protect medical marijuana users. Recently, there has also been a growing national trend among employers to not test for marijuana use. Their employers cite the need to attract skilled workers and the disparities among state legalization as reasons for cutting back on marijuana testing. Refuse to hire, otherwise disfavor, or retaliate against an applicant for not disclosing their salary history. Federal, state, and local political subdivisions, other than the City of Cincinnati. The Ordinance provides applicants the right to bring a claim against an employer in court within two years after the cause of action accrued. Employers may be liable for compensatory damages, reasonable attorney’s fees, costs, and possibly other legal and equitable relief for violating the Ordinance. Cincinnati employers, labor organizations, and employment agencies should take steps now to review and update their employment applications and hiring practices to comply with the new law. Reviewing how and why you set starting pay is critical to preventing future pay equity challenges. On February 19, 2019, the Michigan Court of Appeals issued a ruling in Eplee v. City of Lansing, clarifying that the Michigan Medical Marihuana Act (MMMA) does not create “an independent right protecting the medical use of marijuana in all circumstances, nor does it create a protected class for users of medical marijuana.” The plaintiff in this case, Angela Eplee, applied for and was conditionally offered a position with the Lansing Board of Water and Light (BWL). Subsequent to Eplee testing positive for tetrahydrocannabinol (THC), BWL rescinded its offer. Eplee sued under the MMMA, Section 4(a), which states, in relevant part, that a qualifying medical marijuana patient who has been issued and possesses a registry identification card may not be “denied any right or privilege, including, but not limited to, civil penalty or disciplinary action by a business or occupational or professional licensing board or bureau” for the medical use of marijuana. Eplee also asserted a breach of contract claim against BWL. The trial court dismissed the case pursuant to BWL’s motion for summary disposition for failure to state a claim. Eplee appealed. In affirming the trial court’s decision, the Michigan Court of Appeals held that Section 4 of the MMMA “does not provide an independent right protecting the medical use of marijuana in all circumstances, nor does it create a protected class for users of medical marijuana.” Furthermore, the court held that because Michigan is an at-will state, a conditional offer of employment could be rescinded for any reason or for no reason at all. The decision is significant because it is the first time the Michigan Court of Appeals has held that the recently enacted MMMA does not create a private right of action for medical marijuana users in these circumstances. Importantly, the court’s decision leaves open the question of whether an employee with a “just cause” employment contract, as opposed to an at-will employment offer, might have a cause of action where an offer of employment was rescinded under similar circumstances. Notably, the court distinguished this case from a 2014 decision in which it upheld an employee’s right to create and maintain a drug-free workplace in light of the MMMA but determined that an employee is not necessarily disqualified from receiving unemployment benefits if he or she tests positive for marijuana. In that case, the employee “show[ed] some pre-existing entitlement or right or benefit that has been lost or denied.” Since Eplee was offered an at-will employment arrangement, Eplee was not able to demonstrate a legal right to employment. Employers that endeavor to maintain drug-free workplaces may want to establish and maintain clear drug-free policies set forth in their employee handbooks. Drug-free workplace policies are upheld under both Michigan and federal law, and in many cases provide ancillary benefits such as discounts on workers’ compensation insurance and the ability to enter into contracts with state and local governments. Many employers have longstanding zero tolerance drug use policies. With the growing number of states passing laws that decriminalize medical and/or recreational marijuana use, the application of these policies become murky. In the realm of medical marijuana, there is a growing body of case law interpreting whether or not employers must make reasonable accommodations for employees that a hold a valid medical marijuana certification. A federal court in New Jersey recently ruled on a case that involved a forklift operator who was injured at work and directed to take and pass drug tests as a condition of continued employment. In response, the employee explained that he was prescribed drugs for pain management including Percocet, Gabapentin, and marijuana, for injuries he incurred prior to his employment with the company. When his employer refused to allow him to return to work, the employee claimed he was discriminated against by due to the requirement that he pass both a breathalyzer and a urine test in order to return to work. The employee’s use of marijuana for pain management points to the tension between state and federal law. On one hand, marijuana is a Schedule 1 drug under the Controlled Substances Act and has no accepted medical use under federal law. On the other hand, the New Jersey Law Against Discrimination (LAD) forbids “any unlawful discrimination against any person because such person is or has been at any time disabled or any unlawful employment practice against such person, unless the nature and extent of the disability reasonably precludes the performance of the particular employment.” Additionally, the New Jersey Compassionate Use Medical Marijuana Act (CUMMA) was enacted in 2010 to decriminalize the use of medical marijuana. CUMMA essentially affords an affirmative defense to patients who are properly registered under the statute and are subsequently arrested and charged with possession of marijuana. However, despite, this provision for criminal immunity, the statute also clearly states, “[n]othing in this act shall be construed to require … an employer to accommodate the medical use of marijuana in any workplace.” Ultimately, the court held that neither LAD nor CUMMA require an employer to waive a drug test as a condition of employment for federally-prohibited substance such as marijuana. The court relied on the fact that marijuana is still illegal at the federal level, and that the relevant New Jersey statutes merely decriminalize medical marijuana but do not require employers to make reasonable accommodations. Other states in the U.S. enumerate stronger protections for use of medical marijuana in their correlating statutes. Accordingly, due to the ever-changing legal landscape of state laws concerning expanding the legality of marijuana for medical and recreational purposes, employers are well advised to seek legal counsel prior to taking any adverse action against an employee who is found to be using marijuana. On March 8, the Court of Appeals for the Third Circuit issued a precedential opinion upholding dismissal of a putative consumer class action where the plaintiff failed to plead a concrete injury-in-fact stemming from an alleged technical violation of the Fair and Accurate Credit Transactions Act of 2003. Companies facing consumer class action exposure should be aware of this new decision, as it may be useful to combat abusive litigation where plaintiffs seek to impose significant liability in the absence of any cognizable harm. On March 11, the U.S. District Court for the Central District of California approved a settlement stipulation between the parties in the long-running Fair Credit Reporting Act litigation involving Spokeo, Inc. See Thomas Robins v. Spokeo, Inc., Case No. 2:10-cv-05306 (C.D. Cal.). The settlement brings an end to the dispute that led to the U.S. Supreme Court’s landmark 2016 ruling on the contours of Article III jurisdiction and the ability of courts to hear cases alleging statutory, technical, or procedural damage without actual injury-in-fact. Ultimately, the settlement means that the ongoing dispute— which has generated a wealth of related litigation and motions practice in consumer class actions and similar statute-heavy arenas— has concluded with a whimper. On May 16, 2016, the Supreme Court of the United States issued its much-anticipated decision in Spokeo, Inc. v. Robins. Spokeo considered whether Congress may confer Article III standing by authorizing a private right of action based on the violation of a federal statute alone, despite a plaintiff having suffered no “real world” harm. The Supreme Court, in a 6-2 decision, vacated and remanded the decision of the Ninth Circuit, the latter of which found the existence of Article III standing in a claim under the FCRA. The Court found that while the Ninth Circuit had considered whether the harm was particularized, the lower court had failed to consider whether the “invasion of a legally protected interest” was “concrete.” After holding that a “violation of one of the FCRA’s procedural requirements may result in no harm,” the Supreme Court instructed the Ninth Circuit to decide “whether the particular procedural violations alleged in this case entail a degree of risk sufficient to meet the concreteness requirement.” On August 15, 2017, the Ninth Circuit issued its decision on remand, reversing and remanding the case to the California district court after finding that Robins had standing to pursue his claims. Spokeo appealed that ruling to the Supreme Court again, arguing that the Court’s prior opinion created massive uncertainty among lower courts as to the contours of Article III standing—particularly in cases alleging statutory claims based on purely technical or procedural violations. On January 22, 2018, the Supreme Court denied the second petition for a writ of certiorari filed by Spokeo. A disclaimer on Spokeo’s terms and conditions page is required to state that its site users may not use any information for any FCRA purposes. Spokeo must include additional disclaimers indicating that it is not a consumer reporting agency as defined by the FCRA. Spokeo customers will be required to certify and agree that they will not use the company’s website and its information for any FCRA purpose. A copy of the stipulation can be found at: https://www.consumerfinancialserviceslawmonitor.com/wp-content/uploads/sites/501/2019/03/Spokeo-stipulation.pdf. The case was dismissed with prejudice by the Court on March 12. On March 25, the U.S. Court of Appeals for the 9th Circuit affirmed dismissal of five plaintiffs’ allegations against two credit reporting agencies, concluding the plaintiffs failed to show they suffered or will suffer concrete injury from alleged information inaccuracies. According to the opinion, the court reviewed five related cases of individual plaintiffs who alleged that the credit reporting agencies violated the FCRA and the California Consumer Credit Report Agencies Act (CCRAA), by not properly reflecting their Chapter 13 bankruptcy plans across their affected accounts after they requested that the information be updated. The lower court dismissed the action, holding that the information in their credit reports was not inaccurate under the FCRA. On appeal, the 9th Circuit, citing to U.S. Supreme Court’s 2016 ruling in Spokeo v. Robins (covered by a Buckley Special Alert), concluded that the plaintiffs failed to show how the alleged misstatements in their credit reports would affect any current or future financial transaction, stating “it is not obvious that they would, given that Plaintiffs’ bankruptcies themselves cause them to have lower credit scores with or without the alleged misstatements.” Because the plaintiffs failed to allege a concrete injury, the court affirmed the dismissal for lack of standing, but vacated the lower court’s dismissal with prejudice, noting that the information may indeed have been inaccurate and leaving the door open for the plaintiffs to refile the action. Written by Jessica L. Troncoso, J.D. 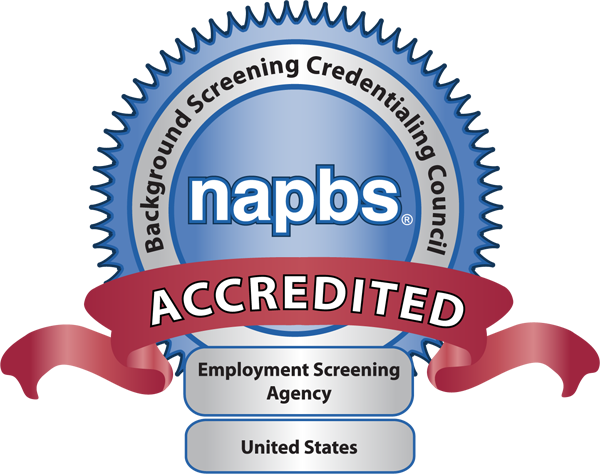 Jessica focuses on Validity’s knowledge base of all laws, statutes, and enforcement actions regulating the employment screening industry. Jessica began in the Quality Assurance Department of Validity in 2012 and later worked remotely with the Research Department while attending law school. Jessica worked as a Judicial Extern for the Honorable Brian C. Wimes of the United States District Court for the Western District of Missouri and the Honorable Peggy Stevens McGraw of the 16th Circuit Court of Jackson County, Missouri.